Drawing on insights and evidence from the National Writing Project, this book explores the ways in which we can best support the development of children's writing in the early years. But before looking at effective ways to develop the writing curriculum, it explores some fundamental questions about learning and literacy. It reflects, for example, on the varying uses and values of literacy in different communities and raises questions about the model of literacy presented in schools. It also discusses how children learn to write and demonstrates the wealth of knowledge about literacy that children bring to the classroom. 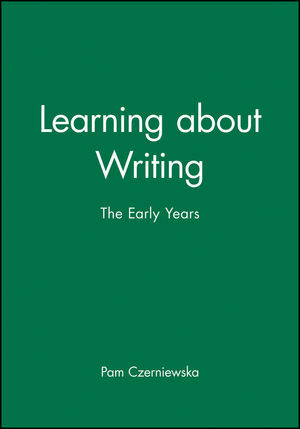 Pam Czerniewska was Director of the National Writing Project (1985-88), a major curriculum development initiative designed to extend children's writing competence and confidence. She previously directed an adult literacy project in New York and as a lecturer at the Open University worked on different aspects of language and literacy. Currently she is working at home, writing and looking after her two children. 1. Literacy in Communities andClassrooms. 5. Writing in The Classroom. 6. Writing with and for Others. 7. What are they Writing About. 8. Different Types of Writing.